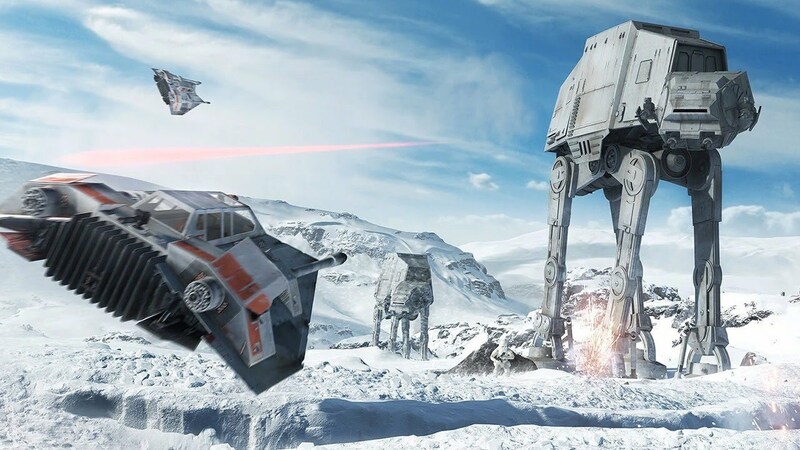 It may have taken some time, but I’ve finally finished Battlefront: Twilight Company last night, so I thought I’d come here and ramble about my thoughts just ahead of Celebration 2019 – where, it is rumoured, we’ll finally get to hear some long-awaited news of Episode IX! This book was really good. I need to get that out there right away. I’ve been feeling a little less-than-impressed with the new canon over the last few months, I was really chuffed to finally find a book that I actually thought was a decent read pretty much all the way through. A lot of reviews mention that it does drag a little in the middle, but the story that it tells overall is so interesting that, by the end of it, I could forgive that. I was so impressed, I made an 8-minute video rambling about it! So the story follows the titular Twilight Company as they fight a rear-guard action in the Mid Rim, which in itself is quite fascinating. (Not for the first time, I’ve found myself wondering how a story with the Big Three would look set in this particular event). On the planet Haidoral Prime, during an open recruit for the Company, the Imperial Governor there, Everi Chalis, surrenders to the Alliance with the promise of information about Imperial military logistics, possibly the sort of information that could help to swing the tide of the war back in the Rebels’ favour. Her defection doesn’t go unnoticed, and Prelate Verge, a former protege of Count Vidian, is tasked to find her, so brings Captain Tabor Seitaron out of his teaching post at Carida in order to assist in the hunt. 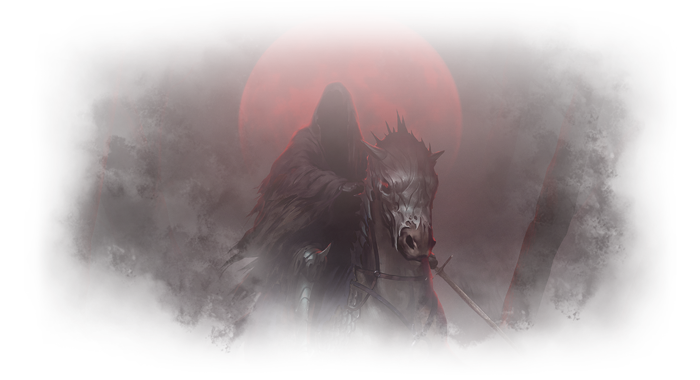 Twilight Company’s luck goes from bad to worse with Chalis along for the ride, and the soldiers are convinced that she is some sort of bad-luck charm. However, once she has presented her information to the Captain of the Company, arrangements are made to take her to Hoth and the Alliance High Command. However, it really does go from bad to worse while at the secret base on the ice planet, as not long after Chalis has made her presentation to High Command, the Empire arrives and the Battle of Hoth begins! 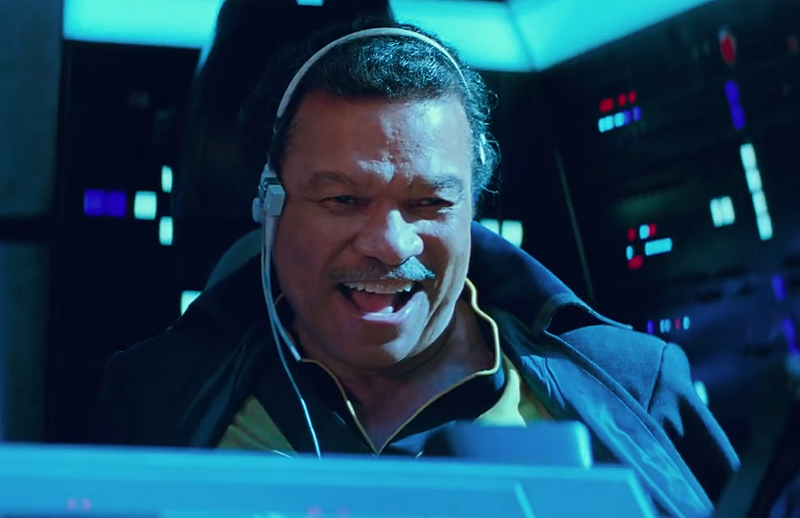 Chalis is convinced that Vader is on the planet chasing her down, but when the Millennium Falcon manages to escape the Dark Lord’s clutches, Vader turns his attention on Chalis and crushes her throat in an attempt to find the location of the rebels. Chalis and the others only manage to escape with their lives because they don’t know where Leia and the others have fled to. 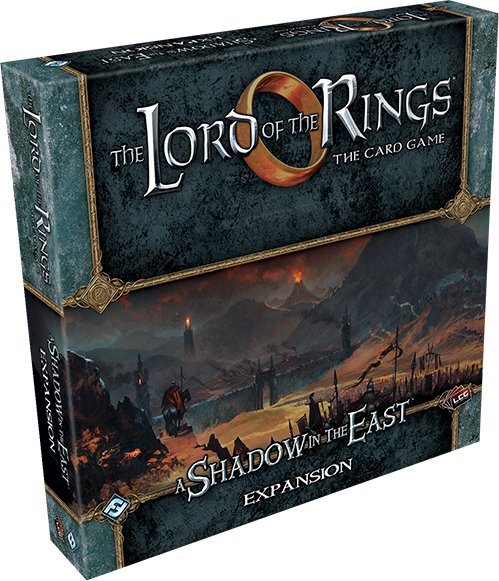 However, during the battle, the Company Captain is killed, and Twilight Company is left in a sort of limbo while they try to gain news of their next orders. It’s at this point that the book seems to slow down a bit, though I suppose it could be seen as reflective of the fact the Company itself is wandering aimlessly until Chalis, getting over the fact that she was never that important to the top brass in the Empire, comes up with a plan to re-energize them all: disable the shipyards of Kuat. To do this, she plots to make a series of surgical strikes at different planets along the Rimma Trade Route, forcing the Empire to redeploy resources that would be used in defense of the shipyards. These strikes go perfectly well until they reach Sullust. Captain Seitaron has managed to pick apart Chalis’ plan to the point where he could guess she would hit Sullust or Malastare, and so they arrive in-system with a Star Destroyer, shooting down the rebels’ ship and stranding them on the planet. The rebels team up with local resistance cells, one of the leaders of which is none other than Nien Nunb, and manage to hold off the Imperials while Chalis, who everyone believes to be pursuing her own personal vendetta at this point, manages to get herself aboard the Star Destroyer and kill Verge as well as disabling the ship with an ion bomb. Seitaron calls a retreat, and the rebels manage to claim a victory. I really enjoyed this book, in case it wasn’t clear! 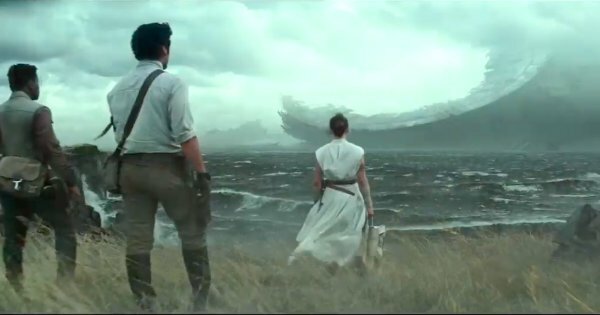 There was, somehow, a feeling of returning to the Star Wars I grew up with. I said in my video ramble that it reminded me a lot of the X-Wing novels, which were about the regular troops doing regular troop stuff, and there is something really interesting about that. For starters, everybody in the book is fair game to be killed off, and there was one death in particular at the end that I found myself quite surprised by. There are a lot of call-backs to the lore of yore, such as references to Cartao (Timothy Zahn’s short story ‘Hero of Cartao’) as well as very obscure tie-ins to the movies, like Twilight Company hitting the planet Xagobah (the homeworld of the podracer Neva Kee from Episode I). I’ve sometimes felt myself a bit lost with this new canon, but as it happens, I found this book made me feel right back at home in the GFFA. It does have that lag in the middle, as I mentioned, and I did feel myself cringing a little during some of the Hoth scenes, as it felt a little bit like it was being shoe-horned into the movie setting during the confrontation with Vader. At the very beginning of the book, there was also a vague sense of this being a book based off a game, with the sort of mission-style narrative that can sometimes feel far too join-the-dots and generic. However, that sense quickly left me, and we’re left with this really good book – apparently, it’s the author’s first! If I ever get around to writing a novel, I hope it will turn out this good! 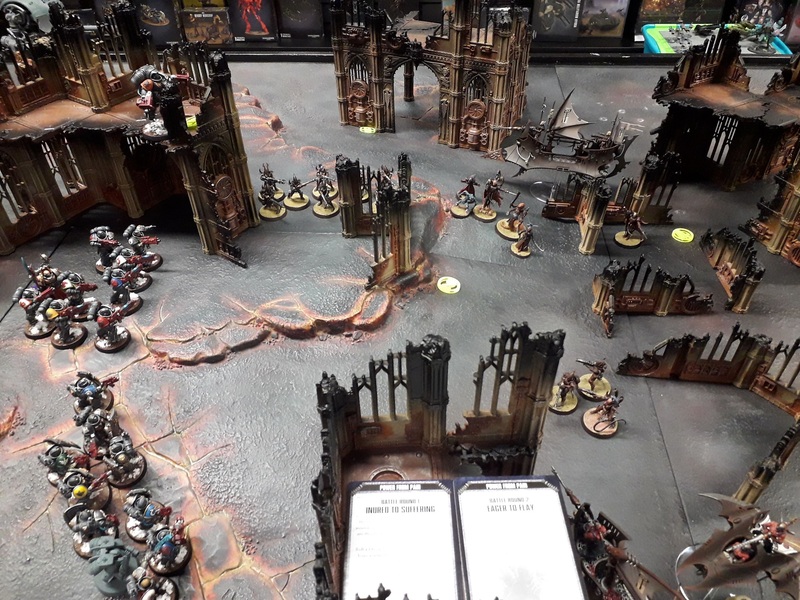 Had a very disappointing game against Deathwatch yesterday, so thought I’d come along here and ramble about it for a bit. Because, y’know, why not? I was playing at my local store against a guy I’ve played before, albeit with different lists. While in our previous match I’d been Necrons, he’d also included a different line-up and it was a smaller-scale game (1250 points, I think). 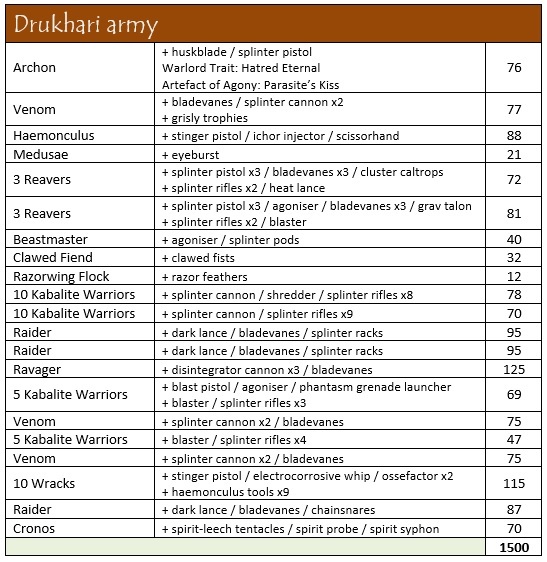 We’d upped things to 1750, and I thought it was about time I brought out the Drukhari, given that I’ve not been playing them nearly as much since the Codex came out, and it’s really time to get my head around all the stuff they can do! 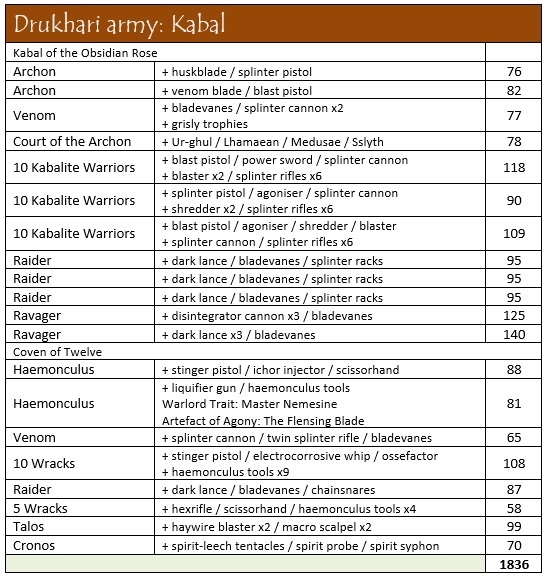 It’s a list that I’ve used in similar configuration before, when I had a game back in December against Orks. I’d initially considered using Wych Cult models alongside the Kabal portion, similar to what I was talking about last month, but in the event I wasn’t going to get all of the models that needed painting finished in time. We both went over a bit, mainly because he was bringing Knights to the party, so I felt no shame in squeezing in a second haemonculus to make it two battalions for 13 command points. I made one of the haemonculi the warlord, putting both in their own Venom, then used the Kabal as the main thrust of my army. The plan was to use the Kabal as a main threat and keep everything at range, while the Coven portion went up the sides and attempted to create a melee charnel house. This plan did not last nearly as well as I thought it might, given that I went second, losing a lot of my firepower and mobility thanks to both Ravagers being blown off the table, as well as two of the Raiders being brought down to extreme low health. Urgh! We were playing Supplies from Above, one of the new missions from Chapter Approved 2018, and one that I’ve played previously in a smaller-scale Necrons vs Tempestus Scions game, and can be a lot of fun in the smaller setting. With a lot of table to cover, though, it proved to be a different experience. I’d initially placed my objectives near the centre thinking I’d create a bit of a killzone for my Raiders to just deliver massive broadsides each turn. Unfortunately, that didn’t really come to pass! My first shooting phase, I managed to kill one guy – just one guy! Really poor rolls made it quite difficult to get much further. I did use the Fire and Fade stratagem to then move one of the Raiders out of the way of the Knight that was breathing down my neck (which is how it came to be neatly wedged between the scenery pieces in the centre of the picture, above). With my Ravagers gone so quickly, though, I decided to just not even bother with the Knights, and tried instead to focus on keeping to cover as much as I could, and go for the troops. The mission requires you to control objective markers at the start of your turn, but they move at the start of each battle round, so I shifted my focus to that in the hope that I’d be able to weather the storm coming my way! My opponent had switched up his list from last time as well, and rather than having everybody carry storm bolters, instead went for a mostly-Primaris build. Which was, as I’m sure you can imagine, a sheer delight. Everything having two wounds suddenly made what heavy artillery I had left become more viable against troops, as shameful as that may be to fire a dark lance at an infantry blob! As an aside, I’d built the majority of this army during the changeover from 7th to 8th edition, when the dark lance was king. However, I’m really thinking that the remaining Raiders I have to build and paint will all be disintegrator cannons, instead – 5 points cheaper, and two more shots. Sure, the strength and AP aren’t as good, but the chances of hitting with the cannons are so much better than with the lances. Somehow, whiffing with three shots at 15 points feels better than whiffing with one shot for 20 points. But anyway! The one bright spot for me was having taken the risk and walked up the Wrack squad carrying the Hexrifle along the flank to shoot directly into the face of the Watch Master – I wasn’t sure I’d be any good suffering the penalty for moving and firing a heavy weapon, but there’s something wonderful to be said for actually making the Hexrifle shot work: 6 to wound and an unsaved wound at that meant two wounds came off the Watch Master. Delightful. Turn two was utterly appalling for me. I lost everything except the Coven Raider and Venom, and just kept rolling poorly for all of my Kabalites. The fact that two squads of ten veterans deep-struck in, one of which came down into my deployment zone for a two-pronged attack, really saw the pain. I’d deployed an Archon on foot, which you can see just to the centre-right of the above photo, and intended him to be quite the distraction. 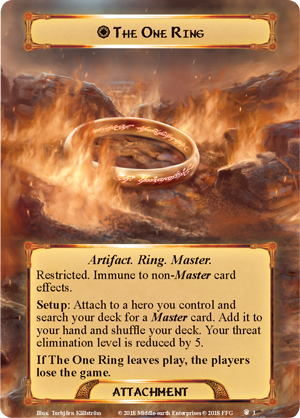 As it happened, he managed to pull most of the fire from that back-field deep strike, and his shadowfield broke on the third roll. Nobody can really withstand 12 shots to the face, can they? But it meant my Warlord had that much less coming for him, while somehow I managed to shave another two wounds off the Watch Master by again rolling perfectly for the Hexrifle! Nobody expects a melee-orientated unit like Wracks to have a sniper rifle hidden in their midst, and so pretty much every game I’ve used it, this squad has been woefully misunderstood. Splendid! If only the rest of the battle was going splendidly, of course. As a point of note, I always forget about Power from Pain. I even had the cards right there in front of me to remember, but I still forget to make the FNP save from the first battle round. Thankfully, my opponent was a good enough sport about it and let me roll after the fact, which did net me two Kabalites back from one of the squads – though I suspect he did so fully aware of the fact they weren’t really a threat to him at this point! Due to the insane amount of firepower coming at me, when my actual second turn came around, I had very little left to do, so just charged a bunch of Covens units into the backfield deep strikers, and successfully managed to eliminate a Jump Captain and the squad of ten he came down with. There is something to be said for the brutal efficiency of a Talos, Cronos, Haemonculus and Wrack squad working together. 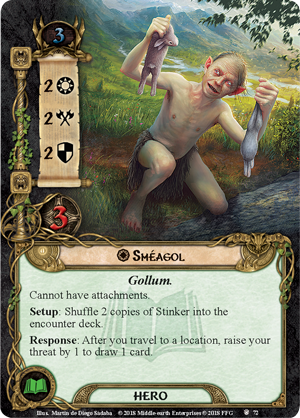 Can’t wait to complete the family and add some Grotesques to the roster! Despite it all – Hellfire rounds to the face, Knights with ridiculous anti-vehicle hatred all around me – we ended in a draw. The Court of the Archon came in really handy having disembarked from their downed Venom in the centre of the table, as each is a separate unit so they all scattered to secure three objectives, with only the Sslyth losing his during the third battle round. We agreed to call it a draw after his turn though, as the store was 20 minutes from closing and I knew it would take at least that long to pack all of my stuff away! I can’t remember the last time I won a game of 40k. Well, actually I think I can, but it was a long time ago. At any rate, losing games is very often more valuable an experience than winning. 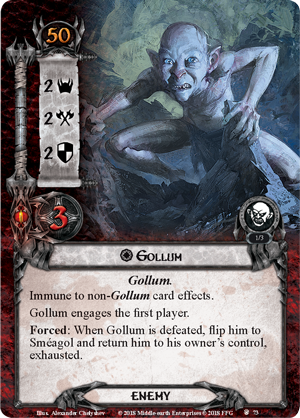 My opponent for this game is a self-advertised newbie, and I think our game last night was his fourth, having won one, lost two, and now drawn one. The usual advice for new players is to let them win their first game, but that really is a double-edged sword, for it may lead a person to think the game is easy, or that it will always be like that. Losing, however, makes you re-evaluate your choices, both in the list and in the game. Even though we called this a draw on victory points, I definitely felt like I lost this one. I ended the battle with 8 command points left. 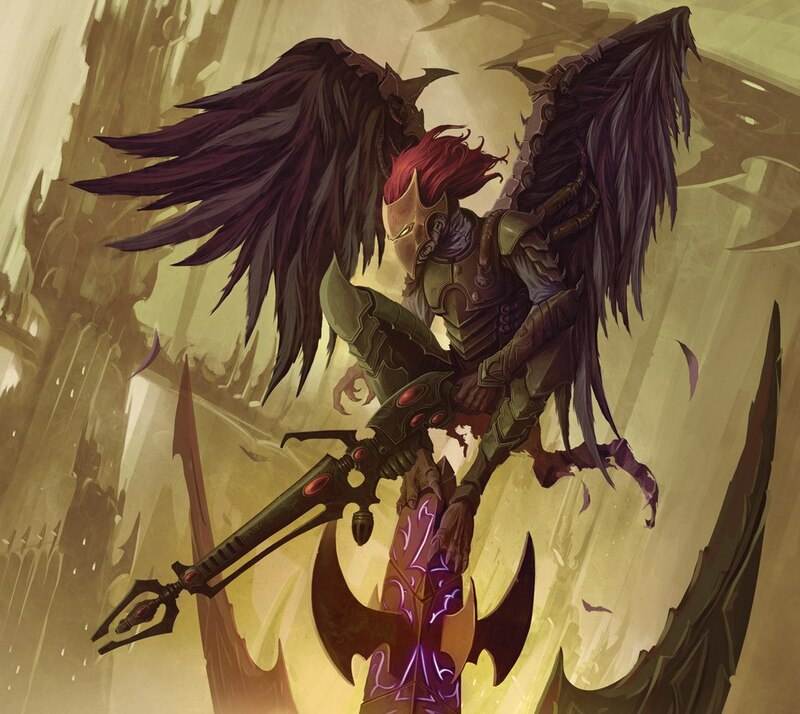 If you end a game with any CPs left, you’ve likely done something wrong, and I very definitely don’t yet know the full potential for the stratagems Drukhari can employ. 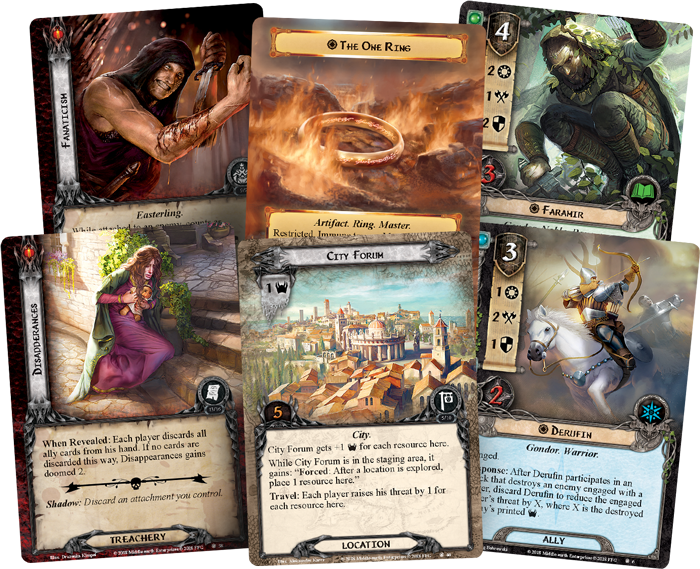 In a game situation, though, I hate to stand there, flicking through my cards or the Codex, trying to come up with a strategy on the fly, though often I end up doing so regardless. Not making full use of my command points was definitely a mis-step from me, and leaving one of my Raiders out in the open was just asking for trouble when there is so much heavy firepower on the opposite side of the table. A great excuse for this game was that I was playing at right angles to my deployment zone. 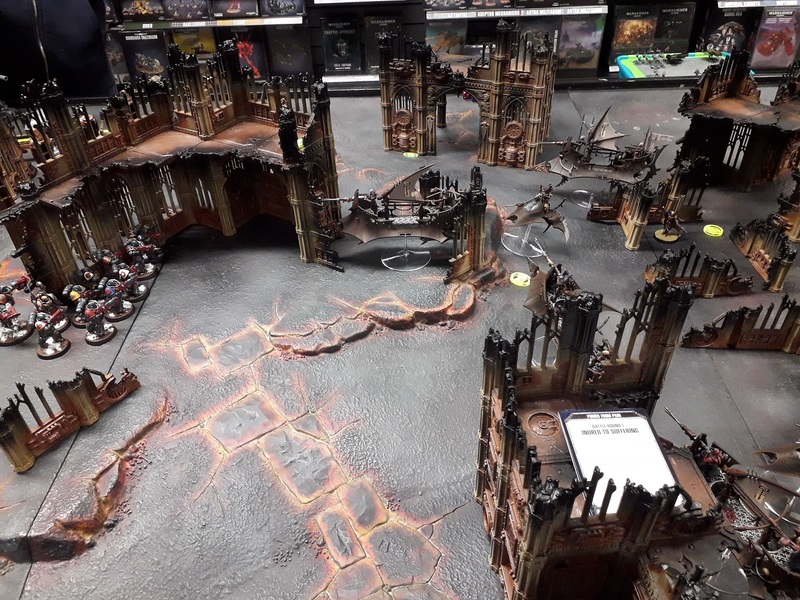 Hear me out on this one: we were playing Hammer and Anvil deployment, but the tables in GW Chester are set up as one long line down the centre of the room. So my deployment zone abutted another game going on, and I couldn’t properly get behind my minis to see what they could see, etc. Trying to figure out lines of sight as best I could was, well, difficult at best! I really shouldn’t have been the gentleman and accepted the poorer of the two zones. I usually have poor dice rolls, and so I try to mitigate that by going for an almost horde feel to the armies I play, and try to have lots of weapons in the hope that the weight of numbers will mean I’ll get at least some hits. But even for me, last night’s game was a shambles. However, there were some successful shots in there that were, unfortunately, saved. Another cardinal sin here – I paid for splinter racks on all three of my Kabal Raiders, 10 points each. I promptly forgot about this, and cannot remember if any of the drive-by attacks rolled 6s. Argh! The agony is real. People talk about Blasters being amazing, but it’s a similar situation to the dark lance, putting a lot of faith (and points!) into just one shot. I’m starting to think that I might well just keep things real simple in my next game, and have three squads of ten with just splinter rifles, or maybe add in a splinter cannon for each but otherwise strip them back completely. 70 points for a 10-man Kabalite squad isn’t exactly a bad situation to be in, after all. 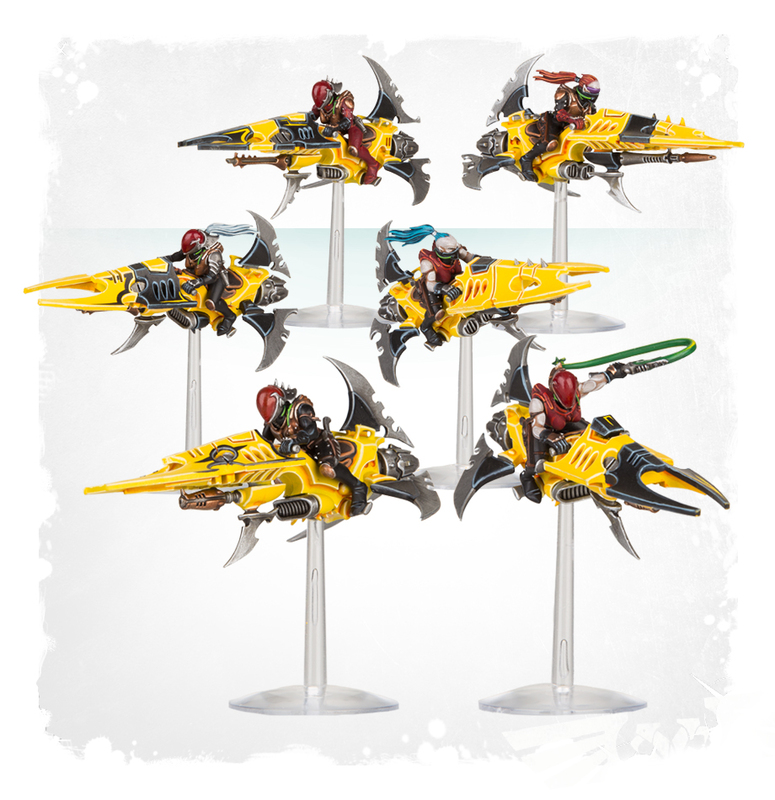 Keeping things cheap in this manner will open the door for adding in more stuff as well, naturally – maybe a 5-man Kabalite squad in a Venom, where I can perhaps get a bit fancier?